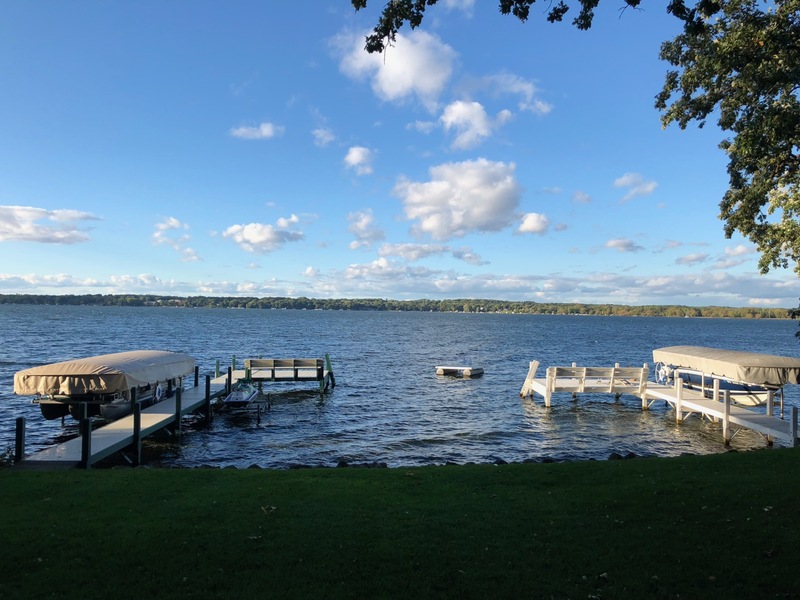 I’m spending the weekend in Green Lake, Wisconsin, a cherished annual pilgrimage to so-called Flyover Country. Having lived in cities all my life, some things still surprise me year after year. Doors are not locked here. You can walk into any house or any car. People trust one another crime is virtually non-existent. Each year we go for fish fry on Friday night and what amazed me last night was how cavalierly cash is left lying around. Right next to the restaurant door was each waitress’ tip cup, filled with cash. Anyone could have grabbed it and walked right out. But I don’t think that happens here. People don’t think like that. There is a jail and police force…it’s not like the area is totally crime-free. Nevertheless, it is still a throwback to the best of the past. It is truly something I enjoy as a break from the commotion of life in Los Angeles. It’s almost as good as Christmas in Germany. Last night I enjoyed pan-fried walleye for dinner, the quintessential Wisconsin fish dinner. Whether a small village in Italy or flyover country in the USA, I just love weekend getaways. Small town America is not called the “heartland” for nothing. I hope you are enjoying your weekend and I’ll check in with you again on Monday. Matthew, thanks for posting this! It really made my day. I love Wisconsin. I recently went to a bachelor party up in Minocqua and had my first taste of Wisconsin’s northern “lake district.” I’ve also been to Madison and Milwaukee a number of times. I love Wisconsin for the people, the beer, the friendliness, the cheese curds — and there’s just something about it. You can even drink beer in parks without being hassled. Honestly, Wisconsin feels like a little taste of European Joie de vivre in the Midwest of the United States. Did you get to have Lou Magnates again this year?